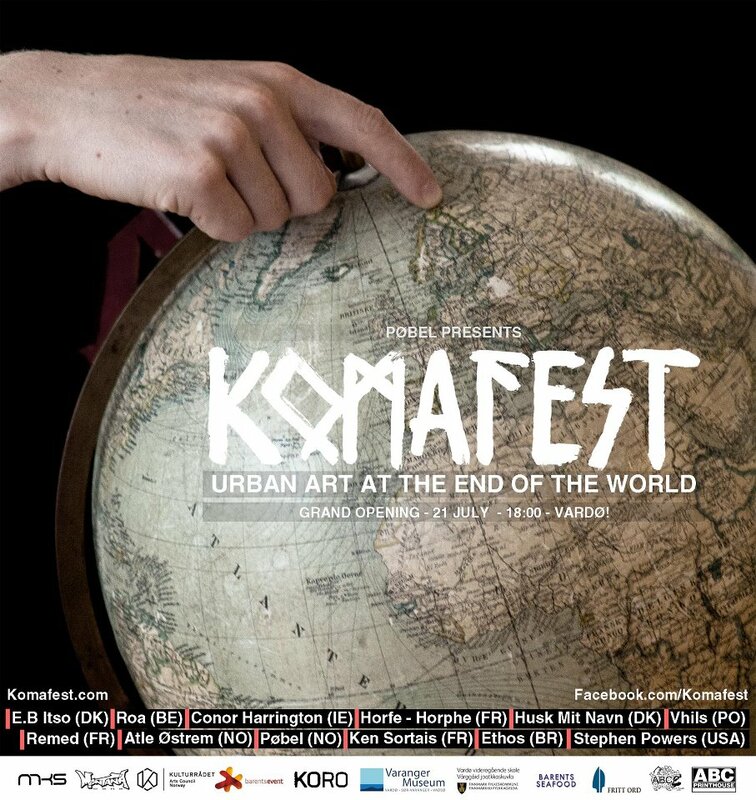 Komafest is a street art project/festival at the end of the world. A couple of the worlds top players in the street art and graffiti scene teamed up to create something truly awesome in norwegian Vardø, an otherwise sleepy village by Barents sea, northeastern end of the country. Check out some amazing pictures at nrk.no, finnmarken.no (norwegian) and the project blog or facebook-page.